Massage & Kids: A Fantastic Combination! Foot Massagers For Kids: 2 Options To Consider! 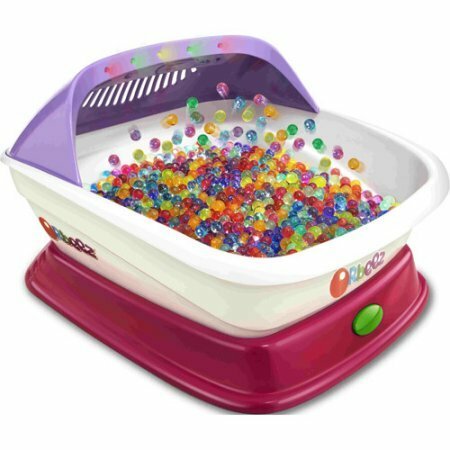 #1 Consider Investing In An Orbeez Foot Spa! How Massage Therapy Can Benefit Kids! Why So Much Emphasis On Foot Massage? Foot Reflexology: Something Every Parent Should Think About! Last week we spoke about how massage can benefit the elderly. Today we’ll talk about the other extreme i.e. how massage can benefit our young’uns! Most people have this idea that massage is only something a fully grown adult should experience. As a result, they’ve somehow instilled fear in others that massage and kids is a complete no-no. This is 100% utter nonsense in my honest opinion! 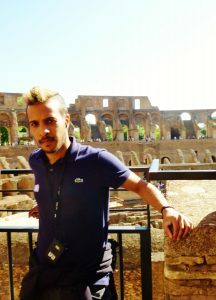 And I say this from experience. Growing up as an adolescent, I fondly recall how beneficial massage was in my life. Back in those days I used to play football (soccer) for my school team, and after every training or match, I’d come home with bruised and sore legs. Massage was the one thing that sped up my recovery and kept me going! If you’re a parent who happens to be reading, don’t take this lightly! Later on in this post we’ll see how massage therapy can benefit young children, but for now let’s specifically discuss foot massagers for kids! You really have 2 options if you’re looking at foot massagers for kids. What are the 2 things young kids love most? Colors—All kinds basically. The more colorful, the better! Things That Feel Good To Touch—Which explains why most kids enjoy playing with slime, goo, or play-doh even! Step forth the orbeez spa! What the heck is this thing? If you’ve ever played with marbles when you were younger, that’s kinda what these look like. But marbles are hard…..this feels squishy! Orbeez beads are nothing more than polymers that expand when placed in water. So why should you consider getting an orbeez foot spa for your kid? Because kids absolutely love this stuff! More so, they enjoy the squishy sensations. The thing with children is they need to be engaged. If they’re not engaged, it’ll be a nightmare getting them to do something. That’s why I love the orbeez foot spa. It’s an awesome way for kids to slowly “grow” themselves into the world of massage. It’s much better than having them go through a super intense massage session which they probably may not like. And if they don’t like it as kids, they probably won’t like it as they grow up! Is it fair to say the orbeez is a foot massager for kids? It isn’t a “full blown” foot massager like the ones I recommend in option #2. It’s more a foot spa with mild massage like vibrations. “But should I not get an actual foot massager?” You could and that’s what I talk about in option 2, but I think it would be a better idea to start your kids off with something mild and light. And that’s exactly what the orbeez can do! What orbeez foot spa should you buy? Amazon has some pretty good choices, but the one I like most is this 2,200 orbeez spa set! Features enough orbeez beads to make your head spin! How does it work? Simply chuck the beads in with water, turn the unit on and enjoy the massage. Integrated into the unit is a vibration massage feature – a light sensation that works really well with the expanding beads. Manufacturer recommends this only be used for children aged 5 and older. As far as size is concerned, this unit can fit feet of all sizes. All things considered, this is in my opinion a good “stepping stone” to get your kids excited about massage! In an earlier post titled “Best Foot Massager: A Complete Buyer’s Guide” I went over my 4 favorite electric and 4 favorite non electric foot massagers. Even though these devices are made for an adult sized foot, there’s no reason why children can’t use them. As is the case with anything, it’s up to you to ensure the necessary precautions are taken prior to use! One thing to watch out for is intensity. Most of the adult sized foot massagers are incredibly intense, and even their lowest setting may be a bit too much for a 10 year old. Before letting your child use the massager, I always recommend you set It up for them. Put your feet in and see how they feel at a low intensity setting. Do you see it being too intense for a child? If yes, lower the intensity even further if possible. The above applies to electric style foot massagers. Non electric foot massagers such as foot rollers are more “child friendly”, because there are no high intensity airbags that inflate. 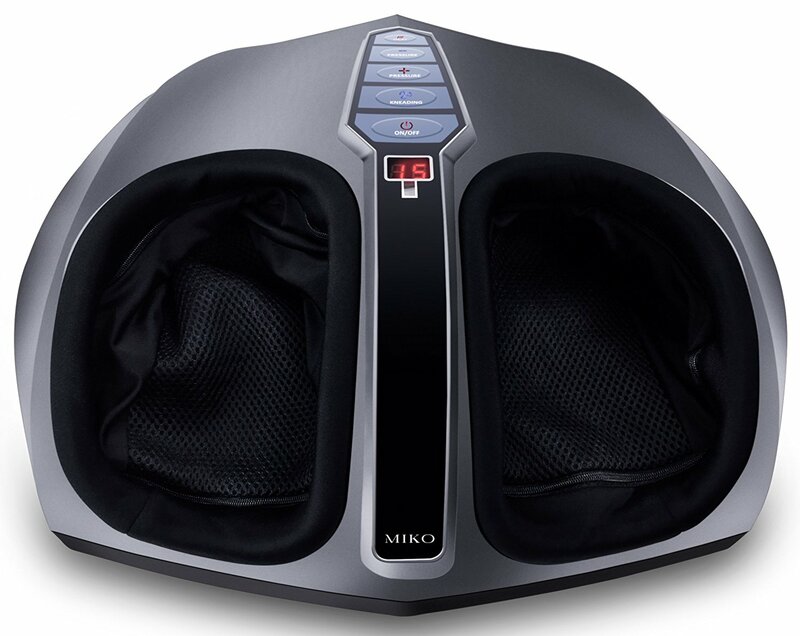 Electric Foot Massager---Consider The Miko Shiatsu! The best foot massager as far as I’m concerned. Unlike other massagers, it’s able to massage the entire foot (top, down, and sides) using a combination of techniques such as rolling, compression, kneading etc. It also has 5 different intensity settings which can be changed from the wireless remote control. Foot Roller---Consider TheraFlow's Dual Foot Massager! Cheap, effective, and easy to carry on the go. The durable design and construction means my kid won’t be able to wreck it! Also, there are no size constraints. Feet of all shapes and sizes can use this contraption. And because it doesn’t require power, you can use it in the park, camping trips etc. Children experience the same incredible benefits to massage as adults do. I’ve listed the 3 most important ones below. Massage Helps Destress—Massively important for young kids as it allows them to remain more calm and attentive. Lower stress hormones also contributes to a healthier immune system, which in turn wards off illness much more effectively! Improves Brain Function—According to Livestrong, massage stimulates cognitive development in children. Massage helps to keep our kids alert and attentive, so they are able to effectively analyze and resolve problems. Helps Them Sleep!—Massage releases neurohormones such as dopamine and serotonin. For those who don’t know, serotonin is used to make melatonin in the body. Melatonin is the stuff sleep deprived adults like myself use! It’s usually available off the shelf at most pharmacies. But hey who needs a pill when massage can produce the same hormone! And remember if massage can get your kids to sleep, you probably as a result will sleep better! You Use Them To Walk—To put it into context, think of how many steps you complete in a single day! They Bear Your Entire Body Weight—It’s no wonder your soles and Achilles are as sore as they are! You Even Use Them To Drive!—One foot on either the gas or break and the other on the clutch! The list is endless. One could argue that you use your feet for practically everything that you do. Isn’t it only fair then that we give them the tender love and care that they deserve? Foot reflexology, a form of foot massage can have tremendous benefits. What is foot reflexology anyways? You see all major organs in the body can be found as reflex points on the feet. Reflexology is simply the act of stimulating these pressure points. By stimulating these pressure points, we trigger the body to heal itself. Imagine how a 9 year old kid could benefit from this! And the best part is it’s so simple and easy, anyone can do it! Below is a video discussing foot reflexology in greater detail. There is no foot massager that can stimulate these pressure points, so everything must be done by hand. Teaching your child how to work these pressure points themselves is probably the best way of going about it. However, always remember consistency in the process is paramount! Q1. 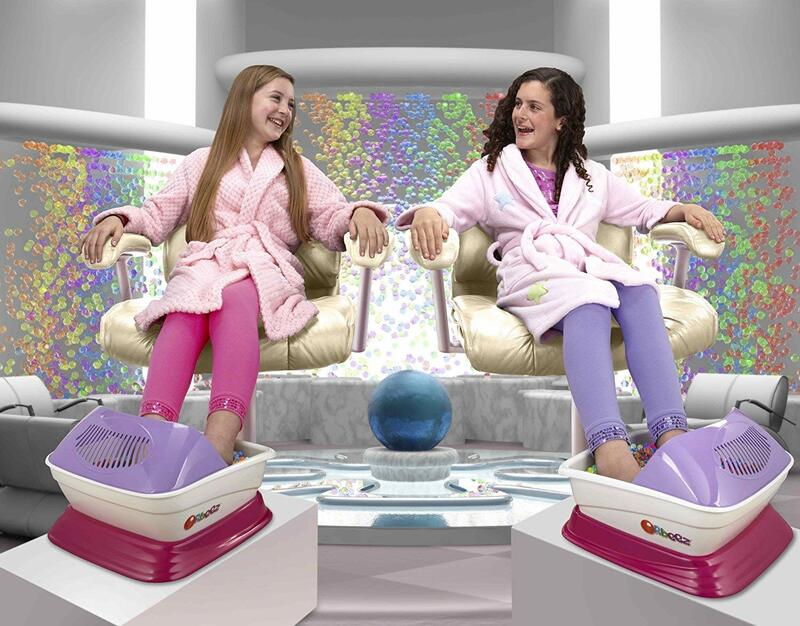 You recommend young kids start off with a lighter foot massage by using an orbeez spa set. Are orbeez beads dangerous? What if my child swallows them? Some reports will tell you these beads are non toxic and not dangerous and others will tell you the exact opposite. I will tell you that it’s best to not have to ask the question. If you supervise your child, and have your attention on them, it’s unlikely they will try to ingest these beads! Q2. Does that mean I have to supervise my child at all times? Yes that’s what I would do. Doesn’t matter if they’re massaging using an orbeez foot spa or an electric foot massager, supervision should always be there incase something unexpectedly goes sideways (although most likely it won’t). Q3. Talking foot massagers for kids, you mention 3 very different products. How do I know what’s right for my child? If your child is past 12 and already has some massage experience, consider having them use either an electric foot massager or a foot roller. On the contrary, if your child is below 12 and hasn’t had much massage before, consider the orbeez spa set. Q4. How do I keep my kid engaged in massage so they continue to do it? That’s a great question! You need to make it fun for them so they don’t lose interest. Children lose interest so quickly these days. Orbeez beads are a great example of how to keep them interested. As they age, they’ll start to see how beneficial massage is simply by experience! The benefits that come from massage are no secret. Adults and young kids all over the world are experiencing tremendous improvements both physically and mentally! But if you want to get maximum benefits, you gotta start early. The best way to do this is to setup a massage regimen/routine for your family (children included). This way you hold everyone responsible! Finally, I hope you enjoyed reading and got some value out of this. If you have any questions, please leave them below. See you soon!